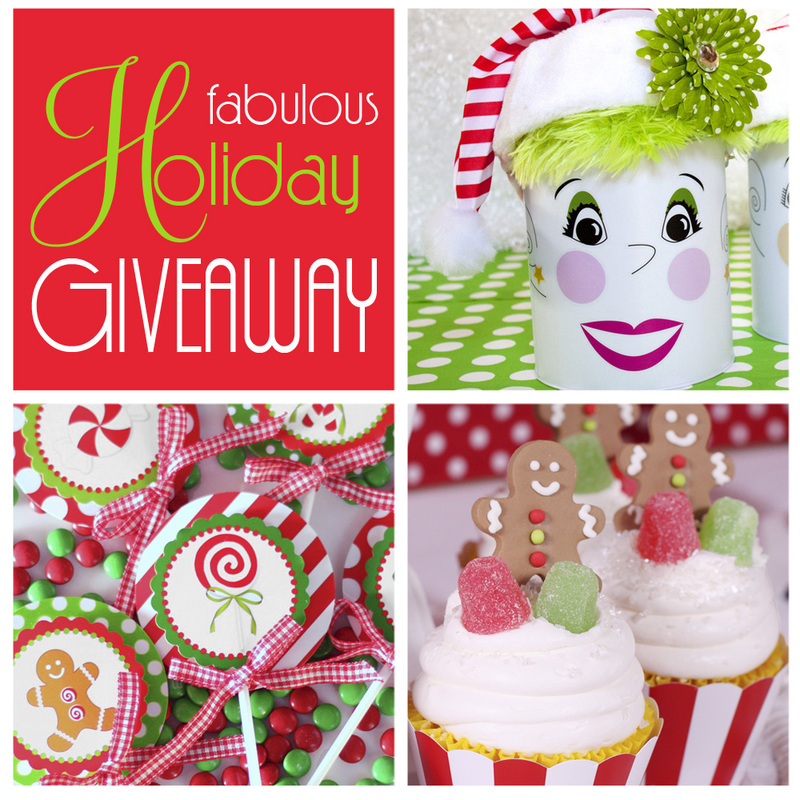 hosted by Amanda's Parties To Go, Persona Pails and Edible Details!! Thank you all for participating!! And now for a wonderful guest post from Brittany! Hi Everyone! 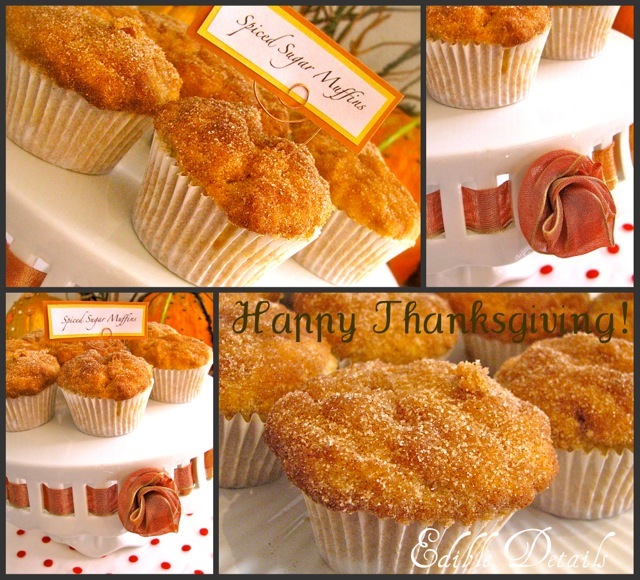 It's Brittany from Edible Details to share a tutorial with you today. 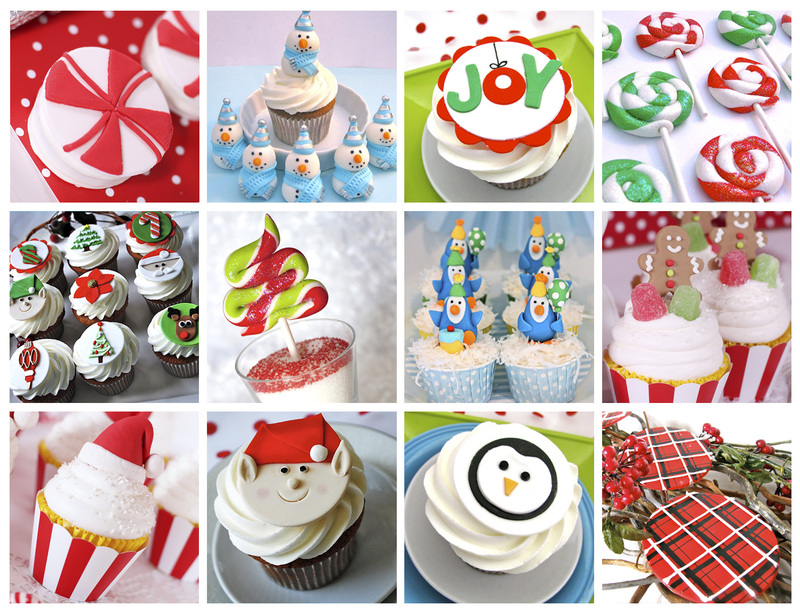 Its been a hectic couple months over at Edible Details, and I have truly missed having the time for some tutorials! Happy to be back in the swing of things and share one of my family favorites today. They are as good as they sound, and in my opinion...practically as good as a cupcake. Only you can eat this one for breakfast! Holiday season just like they do with me. 1) Cream Together shortening and sugars. 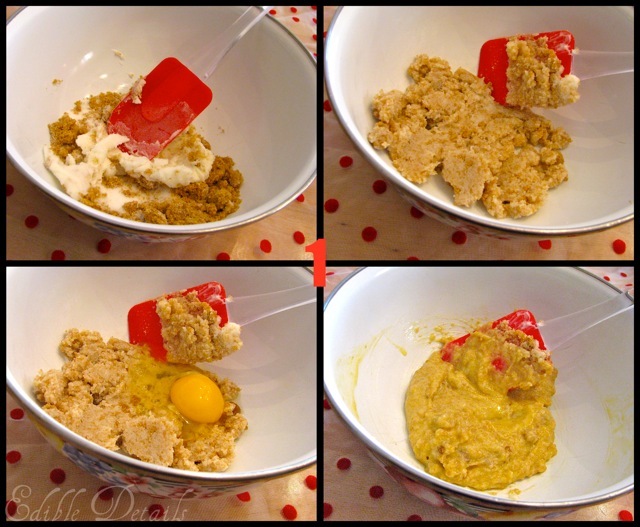 After combined, add egg and mix. 2) In a separate bowl, combine all dry ingredients, add to creamed sugar mixture along with milk. 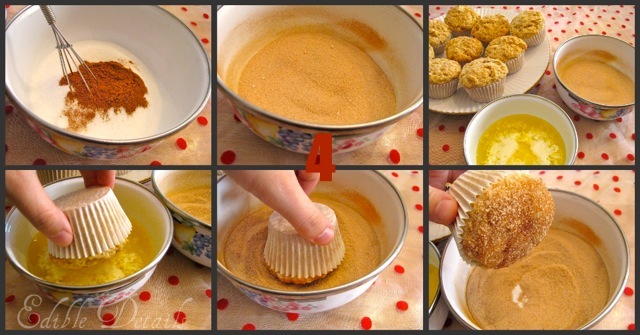 The trick to an amazing muffin: Mix ONLY until just combined and STOP! The less you mix your muffin batter the less dense they will be. This batter will be thick! Its ok if there are a few lumps and bumps, I promise! 3) Using an ice cream Scoop (This will change your life for all cupcakes and muffins!). Evenly scoop mixture into a lined muffin pan. Bake for 18-20 minutes at 325 degrees. 4) Topping Time! 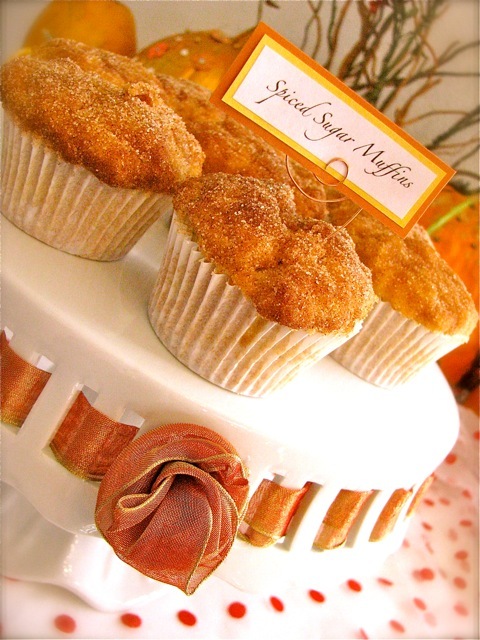 Combine 1/2 cup sugar and 1 Tbl cinnamon to make cinnamon sugar. I'm a bit of a Cinnamon-holic, so if you prefer it to be less cinnamony, simply add less. Melt butter (Enough to dip the top of the muffins into, aprox 1/2 cup) in a small bowl. There is NO compromising on the butter! Butter only, NO margarine allowed on these little puffs of heaven! Once Muffins are done, and still warm - Dip the tops first in butter and then in mixture of 1/2 c white sugar and 1 Tbl cinnamon. Thank you, Brittany! 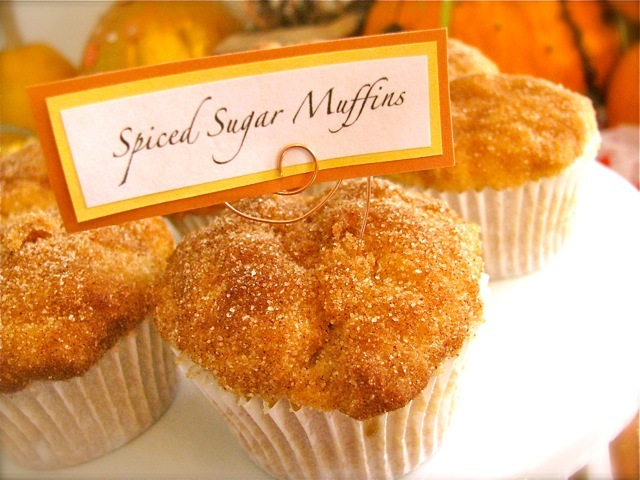 I can't wait to try these.... my kids go absolutely NUTS over muffins so this will be a "must-do" in our house over the holiday weekend! Be sure to visit Edible Details for the best little cupcake and cake toppers in the land! Brittany's fondant work is simply stunning! I hope you all have a wonderful and safe Thanksgiving Holiday! 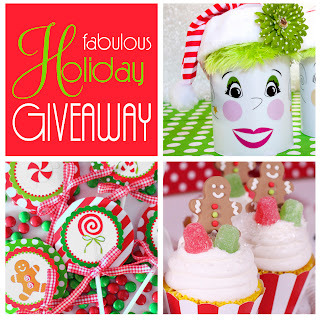 I'll be back next week with some fun Christmas ideas! Yum! These look fab! Thanks for sharing!